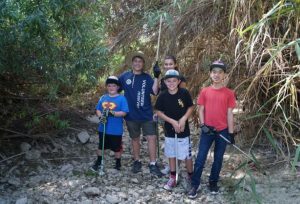 Help us kick off a brand new year of cleanups with our first community cleanup of the year in Bonita! Join us on Saturday, January 27th from 10:00 AM – 12:00 PM at the Western Staging Area of Sweetwater Regional Park located at 3121 Bonita Rd, Chula Vista, CA 91910 to clean up trash and recycling and prevent waste from traveling through the Sweetwater Reservoir out to our coastline. We encourage volunteers to bring their own reusable items such as water bottles, work gloves, and buckets to promote zero waste practices and help us in our mission to have a zero waste, litter free, and environmentally engaged San Diego region!